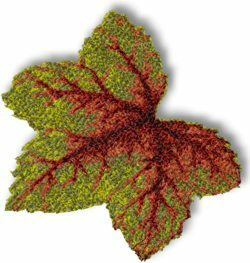 Advanced Embroidery Designs - Newsletter of June 30, 2008. Our Free Design has been updated with the Maple Leaf in the photo-stitch technique! Cutwork Lace is fantastic for decorating all kinds of linen, including table runners, tablecloths, napkins and pillow cases. The Cutwork Lace Olives are a new addition to our catalog. 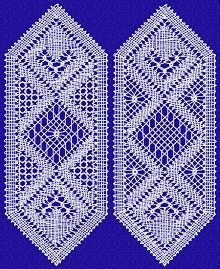 The design can make a lovely border or corner lace, or you can use it as a lace insert. Instructions on the design's page show how we used it to embellish a towel. The FSL Bobbin Lace Bookmark Set contains everything you need to make several charming embroidery bookmarks. Each bookmark design is available in 2 versions: with a tassel and without a tassel, so you get 4 embroidery files in all. They're excellent to give away as gifts to family and friends. By request of our customers, we've added the Alaskan Malamute Set to our collection of one-color Dog designs. They're perfect for pet- and animal-themed projects and look especially great on clothing. Our customers have used them in many other items as well. 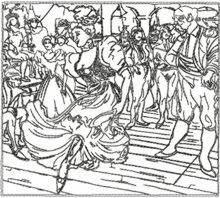 Our Fine Art section has been updated with the Marcelle Lender Dancing the Bolero by Henri de Toulouse-Lautrec. This design is great for framing. It can also be used to decorate album covers, greeting cards, wall hangings and so on. You will find a complete list of this week's New Designs on our webpage. We have also added the Quilted Table Topper with Fruit Embroidery to our Projects section. 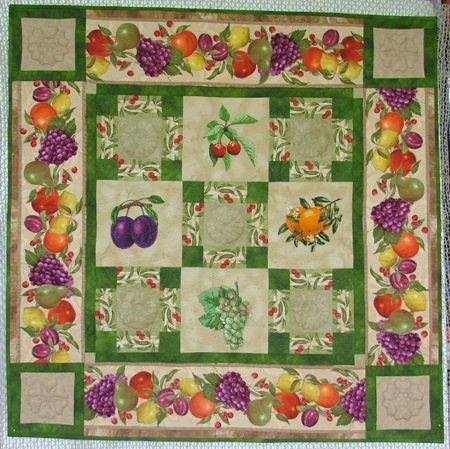 This colorful and cozy table topper is perfect for September, which is harvest time in most of the world. 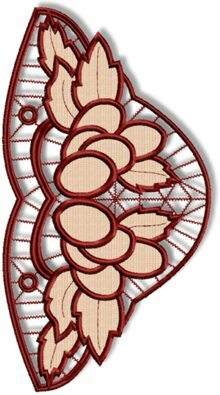 We used a number of embroidery designs featuring fruit, as well as a few quilting patterns. This e-mail should NOT have any attachment. If it does, this is probably the same letter converted to an attachment by your mail server. In any case, it is advisable not to open it. To unsubscribe, simply reply to this e-mail and enter "unsubscribe" into the subject.